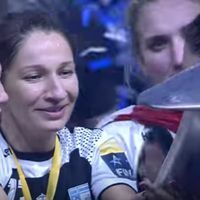 21.05.2017 - FEATURE: Four-time winner of the Women’s EHF Champions League, Cristina Varzaru, announced her retirement at the end of the season. 07.05.2017 - 3/4 PLACEMENT MATCH: CSM Bucuresti won the third-place game as Dragan Adzic threw his youngsters to the deep end. Bella Gulldén was once again sensational. 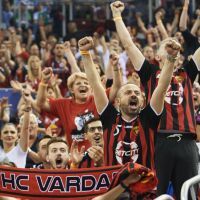 07.05.2017 - 3/4 PLACEMENT MATCH: Having lost the semi-finals title holders CSM Bucuresti and Buducnost can be disappointed but there is still a lot left to fight for.